Tot’s parties are designed for children between the ages of 1 and 5. Play time will last for one hour and 15 minutes, followed by cake/food time for 45 minutes. 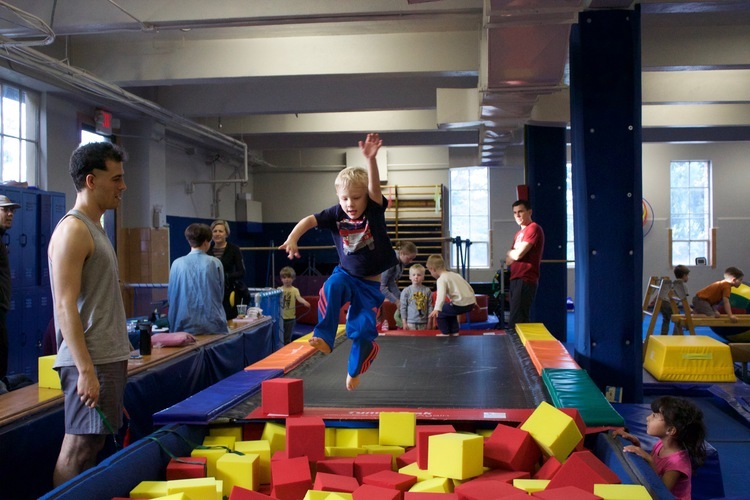 Playtime includes access to trampolines, bars, rock wall, foam pit, rainbow tunnel, obstacle courses, and aerial equipment. Our standard tot’s party package includes up to 20 guests (5 additional guests available with an added fee). We strongly suggest that you book your party 6-8 weeks in advance.